Perched on top of a cliff with commanding view of the plains below, the lodge offers four beautifully designed and extremely spacious 'houses', each with their own private seating and dining area, en suite dressing area and bathroom and private veranda with majestic views over the surrounding landscape. There are also two larger family houses with a double and a twin bedroom, perfect for families or groups. 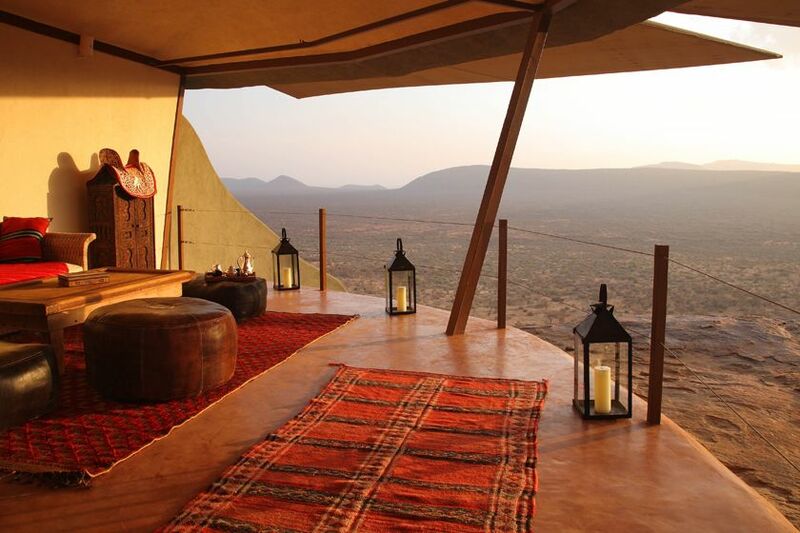 Set in 95,000 spectacular acres of prime conservancy in the Samburu National Reserve, Saruni Samburi offers guests stunning accommodation in the heart of Kenya's Wild North. Game viewing in this region is superb and guests don't have to venture far to get a close up view of some of the area's abundant wildlife. 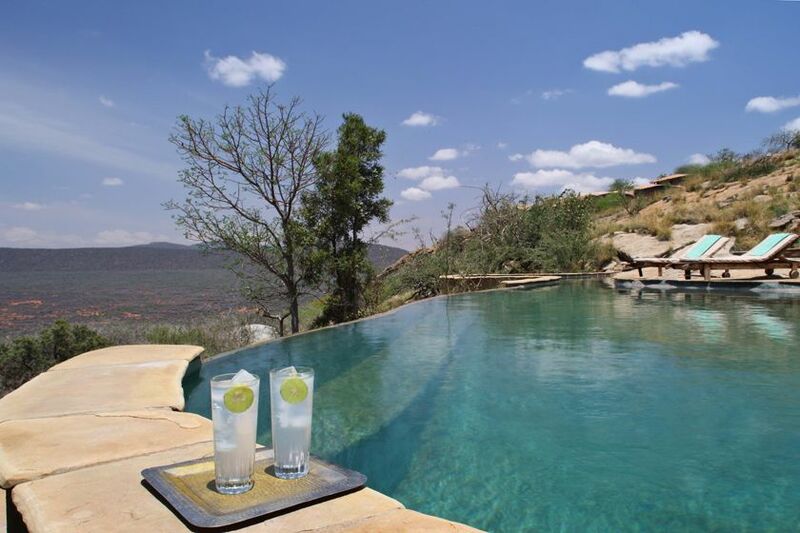 The lodge's communal area features a large swimming pool with views over a series of waterholes, where Samburu elephant, giraffe and a host of game gather to drink, in turn attracting predators including leopard and hyena. 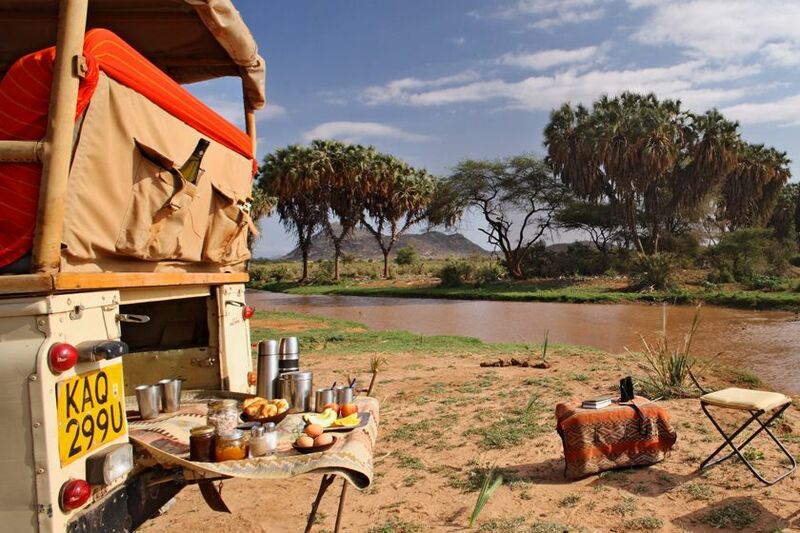 Activities at Saruni Samburu are plentiful and enable guests to experience the very best this part of Kenya has to offer. 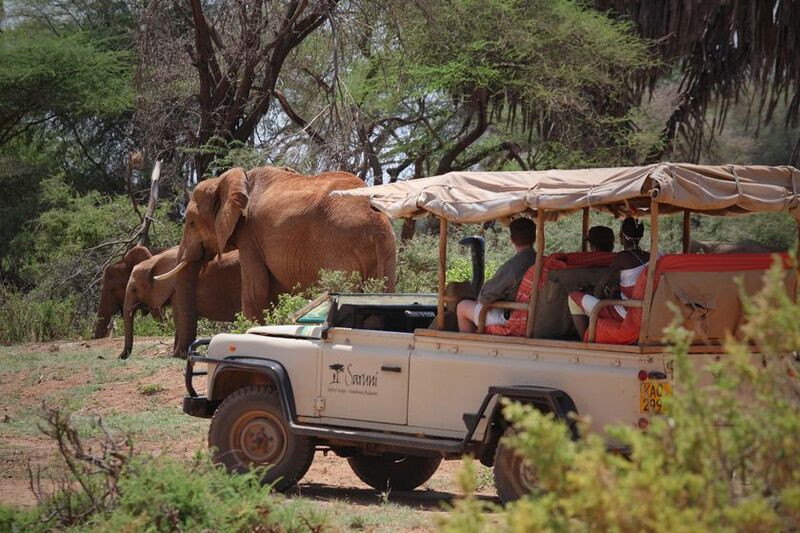 Day and night game drives are complimented with guided bush walks, cultural visits, drawing safaris led by a professional artist, visits to local caves to see some of the regions fascinating prehistoric rock art and sumptuous bush meals, accompanied by traditional singing and dancing by the native Samburu people. Best for: experiencing the wildlife and culture of Kenya's wild north.